Before the introduction of the new restructuring rules, if a business restructured from say, a partnership to a trust, there was a possibility that the change in structure could trigger capital gains tax (CGT). That is, the tax law would treat the restructure the same way as a sale and the owners could be liable for CGT on their share of any gain based on the current market value of the assets being moved into the new structure. Tax – Your business structure determines the tax rate you pay and how it is paid. In addition, some structures offer greater tax concessions throughout the life of the business (e.g., for research and development activities) or on the sale of assets. Many business owners wish that they had correctly structured their business assets from day one, and not put all their eggs in the same basket just because this has been an easy option to finance the business acquisition or to achieve simplicity and reduce initial costs. Transferring assets to fix inappropriate structuring choices or gain asset protection at a later stage of the business life can be a complex and costly process resulting in significant tax liabilities. If you have a business asset that you wish to take out of a trading entity, we have some good news for you. A few days ago the Government introduced a Bill to give effect to its 2015 Budget promise of a small business rollover. The measure is to apply from 1 July 2016 and will allow a small business entity, and certain entities connected to a small business entity, to rollover an active asset to another entity structure. Small business entities will have the opportunity and ability to take an active business asset owned by a trading entity out of that entity without triggering tax. For example, the rollover will allow a company that owns a plant and the building it operates from, to move that plant or the building (or both) out of the company and into a family trust without triggering capital gains tax or income tax. A small business entity is broadly an entity that, together with entities related to it, has a turnover of less than $2 million. An active asset is broadly an asset that is used in a business being carried on by the entity that owns the asset, or an entity that is connected with it. For example, goodwill of a business is likely to be an active asset of the business owner, and if an entity owns a property from which it conducts its business, then the property is likely also to be an active asset. Don’t get excited yet. The new measure comes with eligibility criteria and contains rules designed to prevent taxpayers from using the rollover simply to get a tax benefit. there is no material or significant private use of the significant assets transferred. Bear in mind that restructuring a small business entity can still result in potential State and Territory Duty. The new measure will provide great opportunities to small businesses and will be welcomed by the business owners. Our clients continue to ask us about the operation of the new tax law applicable to small businesses in relation to immediate tax deduction of assets under $20,000. We have provided below some practical examples that will help you understand the rules. If I bought a motor vehicle for $22,000 GST inclusive on 30 November 2015 and my business is GST registered, would this asset qualify for the immediate deduction? No, this asset would not qualify for the immediate deduction. Why? If the company is a small business entity and GST registered, the motor vehicle cost for depreciation purpose is $20,000. The instant asset write-off threshold is less than $20,000. Assets that cost $20,000 or more are deducted over time using the general small business pool. Depreciation rate is 15% for the first year and 30% for the following years. If my business is not GST registered, would the instant asset write-off threshold apply to the GST exclusive amount or the GST inclusive amount? If an asset was purchased for $18,000 incl GST between 12 May 15 to 30 June 17, the immediate deduction would be $18,000. If an asset was purchased for $30,000 incl GST between 12 May 15 to 30 June 17, immediate deduction is not available and the asset will be added to the general small business pool for depreciation purpose. XYZ Trust is a small business entity and has a small business general pool balance of $16,000 at the start of the financial year (e.g 01/07/2014). Is there any special asset write off in this case? Yes and No. The same threshold (below $20,000) applies to small business general pool. Yes – If during the financial year the total assets added to the general pool were less than $4,000, the entire pool balance can be deducted in the same financial year. The increased threshold of $20,000 will apply for the 2015, 2016 and 2017 tax years. No – If during the financial year, the total assets added to the general pool were $4,000 or more, the entire pool balance will be limited to the relevant depreciation percentage for new (15%) or older (30%) assets within that pool for the tax year. Does the instant asset write off threshold of $20,000 apply to one asset or a group of asset? Do you have any questions? Please contact us to find out more. Are you a small business owner employing staff, operating in NSW and not paying payroll tax? Are you considering employing additional workers this financial year? If so, the NSW Government has an incentive for you! The new Small Business Grant is a key priority of the New South Wales Government. The grant applies from 1 July 2015 and is designed to encourage the nearly 650,000 small businesses in New South Wales that do not pay payroll tax to hire new employees and expand their business. Not have a payroll tax liability during the 12 month employment period of a new person as at 30 June of the financial year. The grant is a one off payment per new position and is paid when a claim is made on the 12 month anniversary of when the position was created. For full time employees, the grant amount is $2,000. Do you want to find out if you are eligible to receive the grant? We are only a phone call away! Our continuous professional development is a key focus of the team and management at HCG. As part of our training program we subscribe to the NTAA Tax on The Couch which is a lively review of tax changes during the month. identify businesses that may be competing unfairly by avoiding their tax obligations by not reporting some or all of their income. If these businesses are audited and there is not enough evidence to support their returns, benchmarks can be used to determine income that hasn’t been reported. As tax agents, we use these benchmarks as a tool to help you improve your business bottom line and check your business health before lodging your activity statements or tax return. From 1 July 2015, small employers with 19 or fewer employees will need to start making contributions using SuperStream. Full compliance will be in force from 1 July 2016. Employers can meet Super Stream by either using a software solution that conforms to super stream or a service provider who can arrange SuperStream compliance on their behalf. Employee with SMSF needs to provide Fund’s ABN, Bank Account Details, Electronic Service Address and Employee TFN to their employer to meet the SuperStream requirement. If the information is not provided, the employee will be deemed as not having provided sufficient details for the choice fund to be accepted and the employer may redirect their contributions to the employer’s default fund. The failure to comply may result in an administrative penalty imposed on the trustee of an SMSF or an employer, and ATO is also able to give trustees and employer a direction requiring them to address a contravention of the standard or take action to avoid contravening the standard. 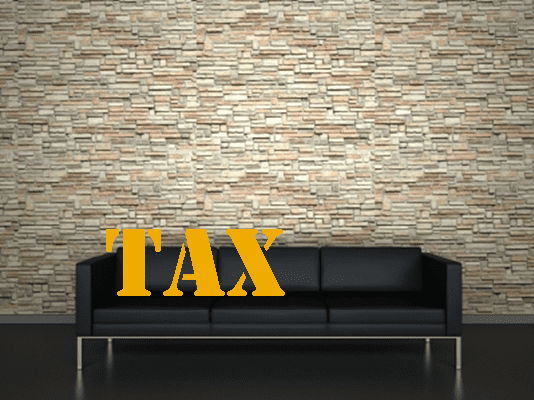 Wait for our next month’s Tax on The Couch series update!